Race Results have been posted! HomeLatest NewsRace Results have been posted! Get our race and news emails delivered straight to your inbox! Subscribe here! THANK YOU TO ALL WHO CAME AND RACED THIS WEEKEND! We have more track changes in the works! Be sure to check them out at our LLAQ in May, and at Round 2 in June! 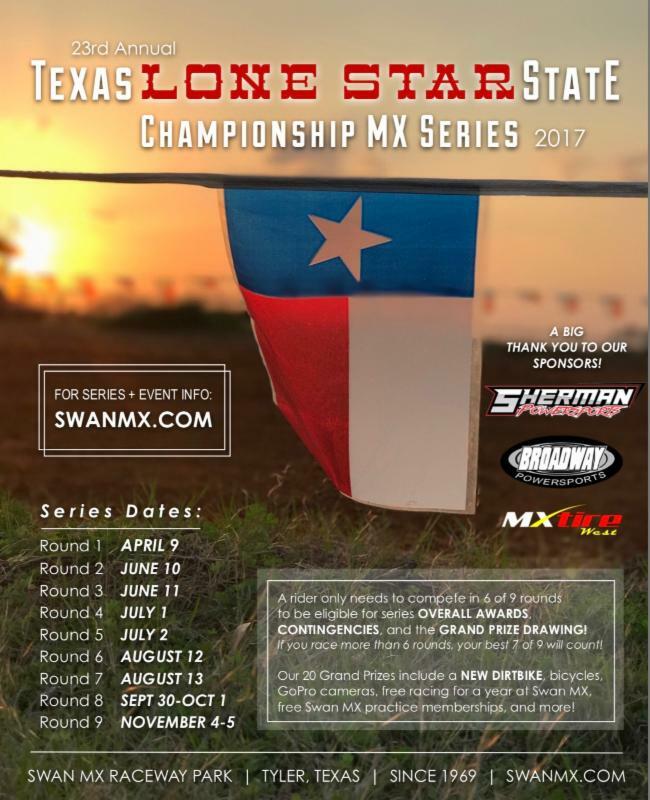 THANK YOU FOR COMING TO SWAN MX! Thank you to everyone who came and raced this past weekend! There were several other competing events going on at other venues, so we really appreciate you choosing to come and ride at Swan!! We had racers from 10 different states in attendance and welcomed FIFTY-TWO (52!!) racers who were brand new to Swan! We hope that everyone enjoyed Phase 1 of the new track changes! 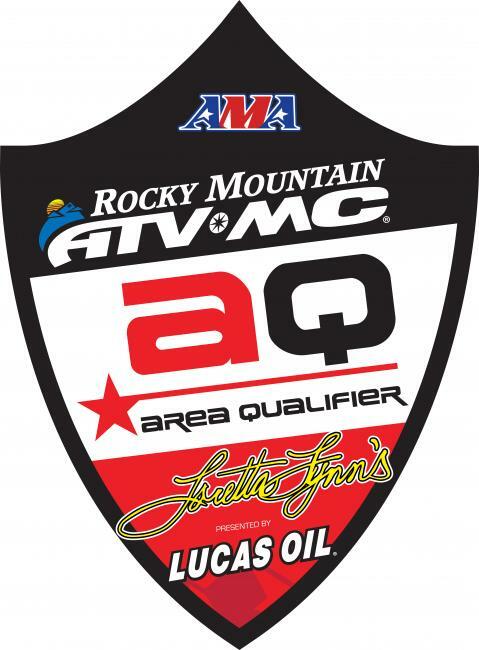 More to come…just in time for our Loretta Lynn’s Area Qualifier on May 5-6-7!! See you then! 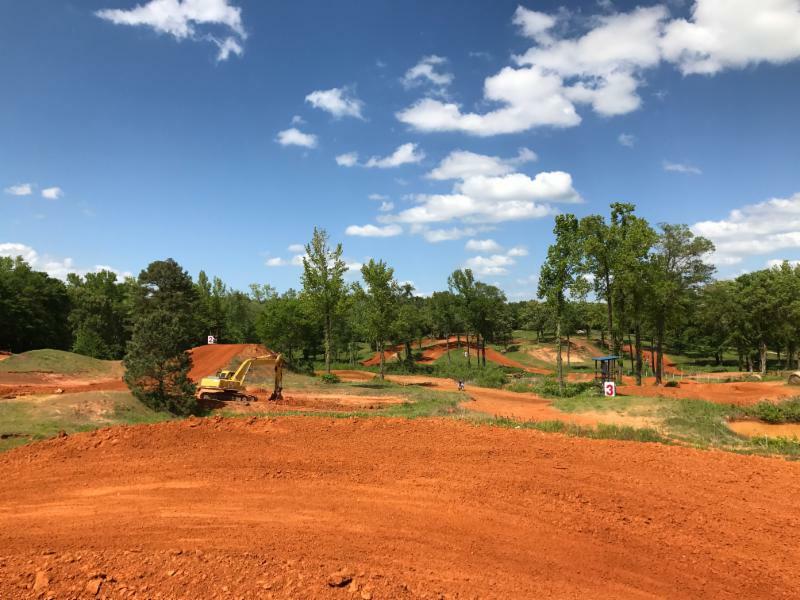 Organized Practice | Open to all riders! 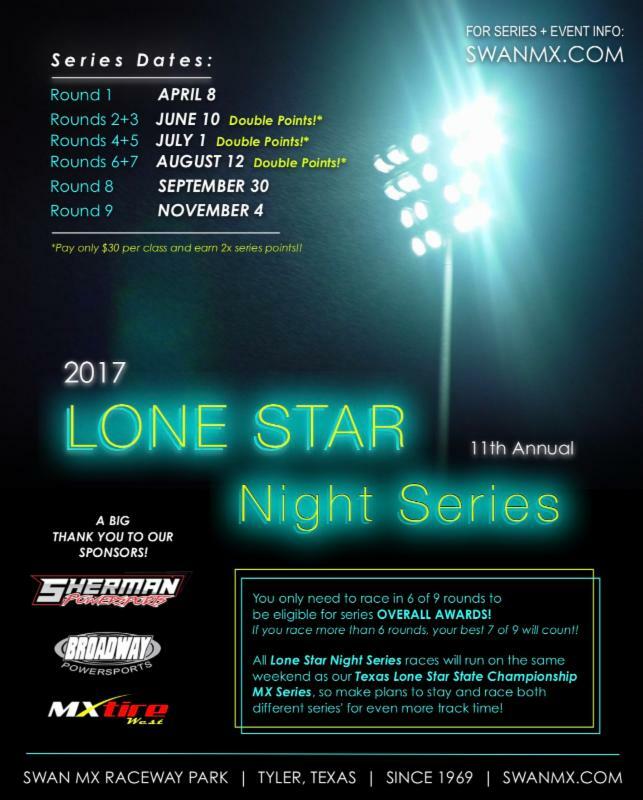 Lone Star Night Series | Round 2+3 DOUBLE POINTS! !